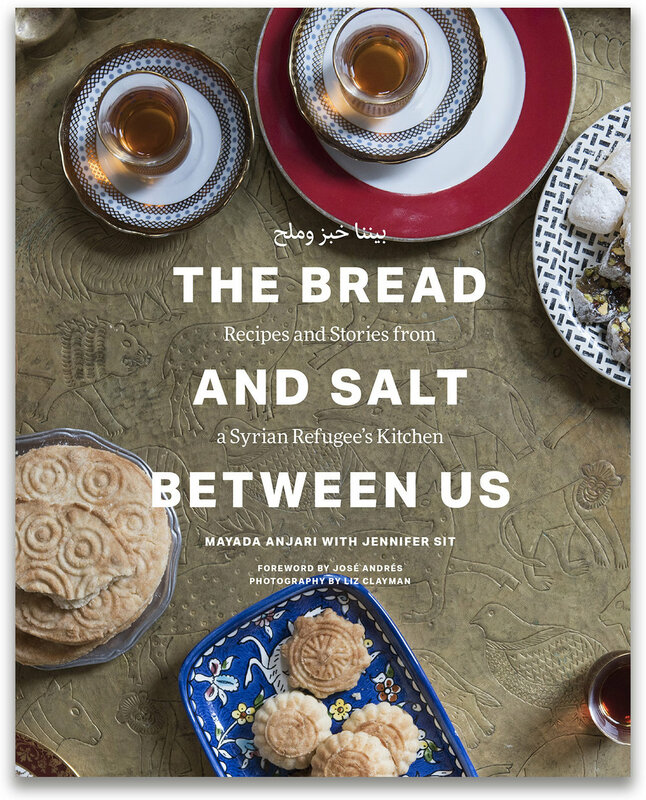 Organized by everyday fare, celebrations, and sweets, The Bread and Salt Between Us offers over 40 recipes that recall the flavor and comforts of Mayada's home in Syria. From the fresh tabbouleh she learned to prepare alongside her mother and sisters to the rice pudding that won over her future husband, these easy-to-approach dishes tell the story of a family whose culinary traditions sustain them as they build a new life in the United States. To show her gratitude to the community that sponsored her family's resettlement, Mayada prepared a meal. This simple act of sharing food ignited an outpouring of support. A regular supper series ensued, drawing crowds that were as enthusiastic to help her family as they were to enjoy her cooking. The story of Mayada's journey is beautifully chronicled in this personal recipe collection. All proceeds from sale of this book will directly benefit Mayada's family and members of the refugee community. Order from Amazon, Barnes & Noble, Indiebound, or visit your neighborhood bookstore! All proceeds from book sales will go to Mayada, her family, and to the Refugee Relief Fund of Rutgers Presbyterian Church in New York City. Rutgers Presbyterian Church co-sponsored Mayada’s family, and its Refugee Relief Fund provides support to refugees in the U.S. and overseas. More information about the Refugee Relief Fund can be found here. If you are in the New York City area and want to attend a fundraising dinner yourself, visit the event page.